Once at the right height, the phone will need to tilt forward slightly so that you don’t have a huge amount of space above your head. 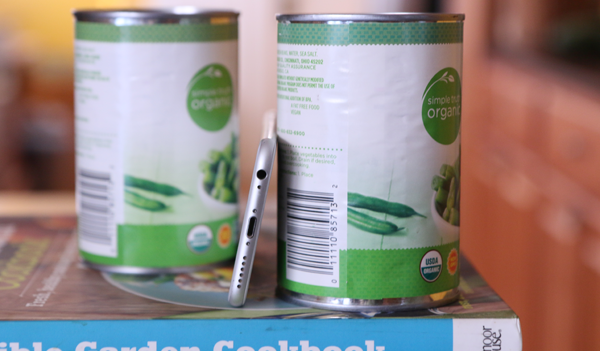 The cans hold the phone in place at this angle. 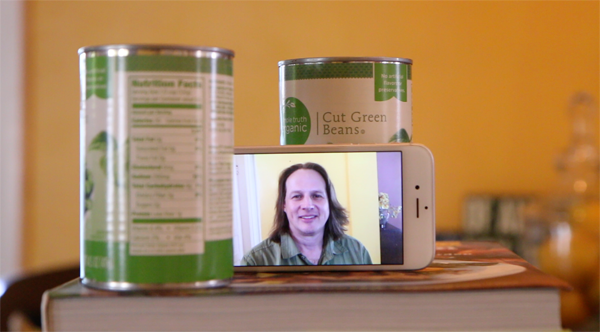 If you are shooting vertical video (for IGTV or Facebook) then you need a smaller can in the front so as not to block the lens. If you are using a Microsoft Surface, then you’ll need a taller can or bottle up front. Try a 2 liter soda bottle or a bottle of wine.